In addition to teaching Gospel Doctrine in my home ward I also have the fabulous job of planning camp for 25 young women this summer. 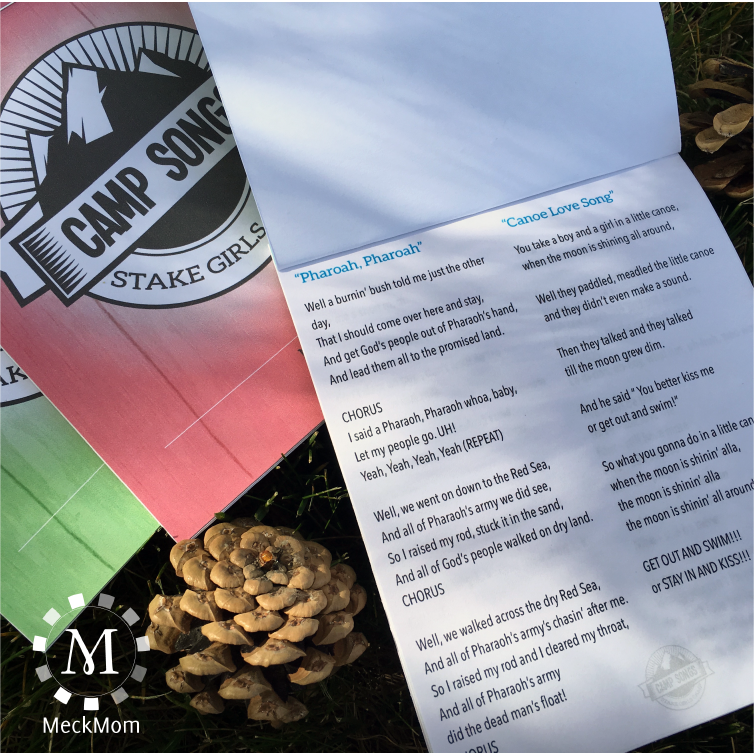 Before I planned a single meal or even decided on a theme, I set my sights on one simple task…creating the perfect printable camp song book. I’m a big believer in camp songs. I know they seem cheesy and dated but I whole-heartedly believe that teaching a group of girls to embrace ridiculousness for a few minutes has huge power. It loosens them up and helps them let go of their cliques and enjoy a little YW unity. but I’ve also added a few fun new songs like this great YW song set to the melody of ‘Cups’. In addition to the fun and crazy songs, I’ve also included the lyrics to several hymns so you’ll be all set for devotionals and testimony meetings. Remember, if any of the songs in the book are unfamiliar, you can find most of the actions and melodies by searching their titles on YouTube (or watching MeckMom.com in the coming weeks). You can find the fabulous printable song books in the Sugardoodle Etsy Shop. Purchase once for only $4.95 and print as many copies as you need for your ward. Click here to find out more. Happy Camping, everyone! 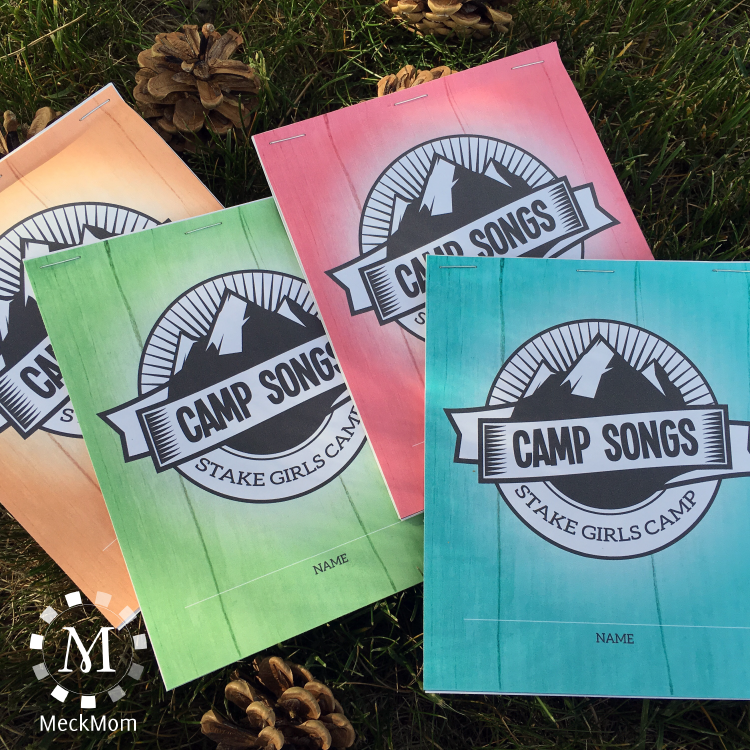 This entry was posted in Girls Camp, Printables, Teaching Tips, Young Women and tagged camp songs, etsy, girls camp, Maria Eckersley, meckmom, Printable, printable song book, song book on June 7, 2016 by Maria Eckersley.